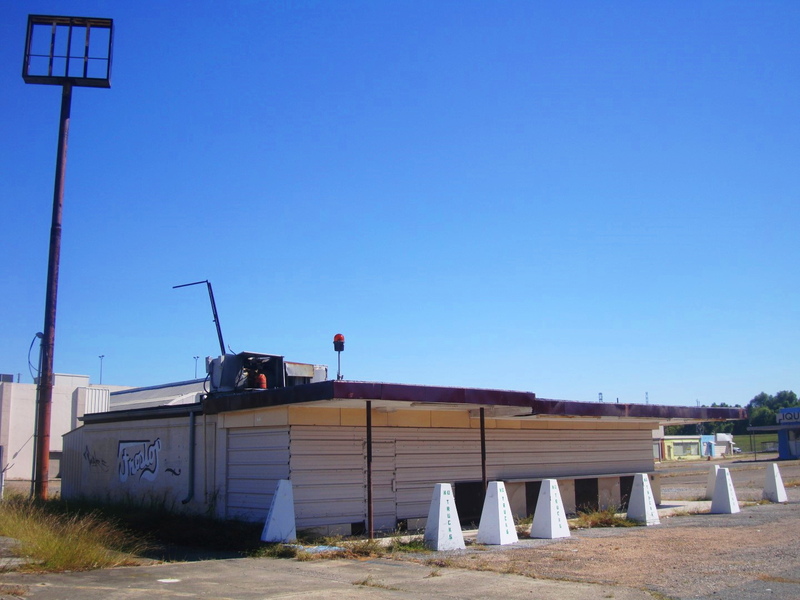 An old abandoned Frostop on Jefferson Hwy in New Orleans. The restaurant sits on the fringe of a massive lot ringed by defunct retail businesses. The air of desolation is strong.